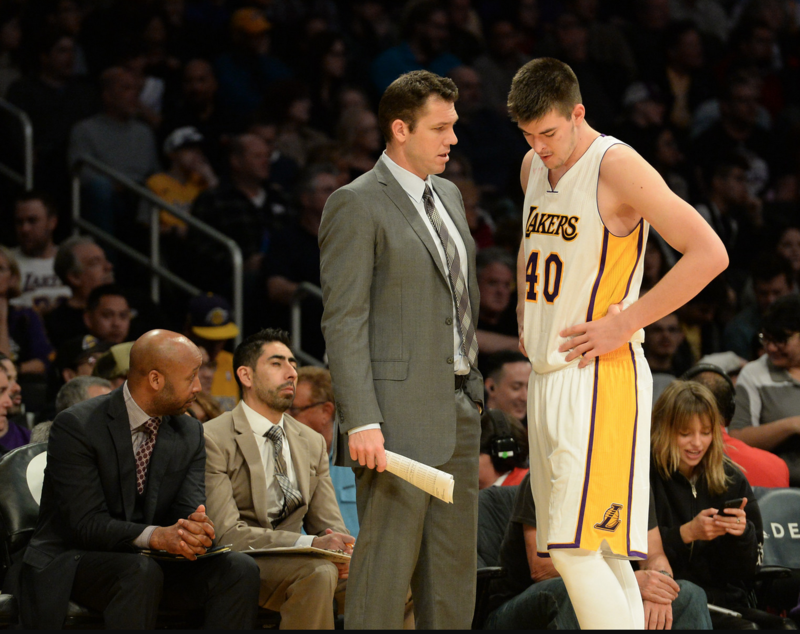 The Lakers might see rookie Ivica Zubac as their eventual starting center. But they also want to maximize his playing time. So a day after scoring 14 points on 7-of-13 shooting in the Lakers’ 122-110 win over the Phoenix Suns on Thursday, Zubac will play for the team’s Development League affiliate on Friday against the Reno Bighorns at the team’s practice facility. It was not immediately clear if Walton was serious or joking. Zubac was unaware of the news when a reported informed him about Friday’s assignment with the D-Fenders. The D-Fenders’ game coincides with a day off on Friday, while the Lakers introduce general manager Rob Pelinka. The Lakers (20-45) are expected to recall Zubac in time to practice on Saturday and to play in Sunday’s game against the Philadelphia 76ers (23-41) at Staples Center. Zubac missed the previous two games because of a bruised quad, an injury he said has since healed. Lakers’ Tarik Black impressing Luke Walton, but can he limit foul trouble?